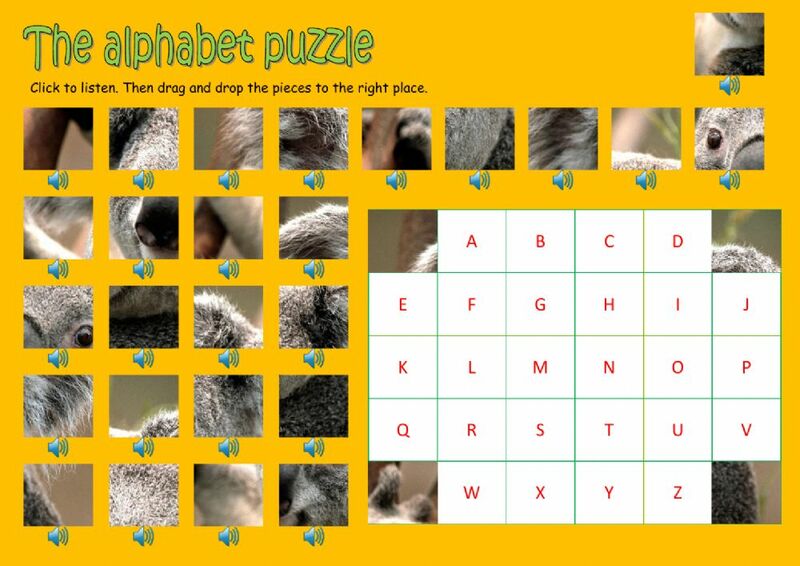 Listening worksheet on the alphabet. Click to listen. Then drag and drop the pieces to the right place. Copyright 3/6/2017 Víctor Gayol. Publication or redistribution of any part of this document is forbidden without authorization of the copyright owner. You won't ever stop surprising us with your ideas, will you? A friend of mine sent me an e-mail at midnight in order to tell me I have to see THIS! Isn't my friend crazy? But she was right, it was worth doing it! That's reeeeaaaalllyyy great! Thanks Victor... i have a lot to learn from you. interesting ... thanks a lot for sharing! thank you for sharing! your worksheets are so inspiring! !